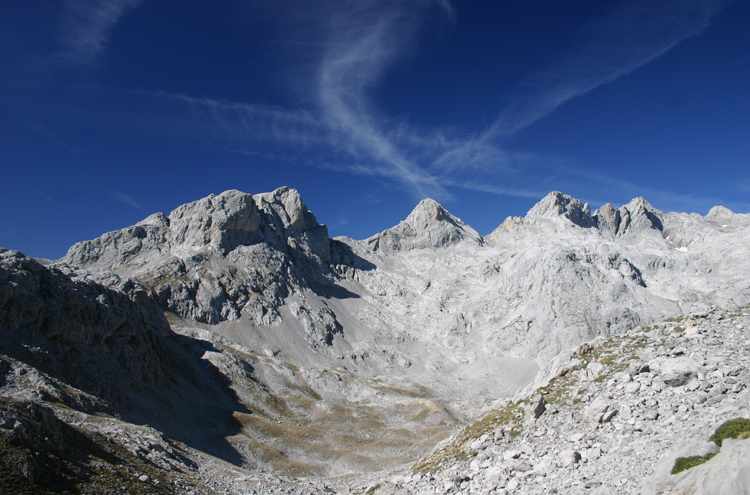 A 2 or 3 day crossing of this remarkable, jagged range of limestone mountains running along Spains northern coast. 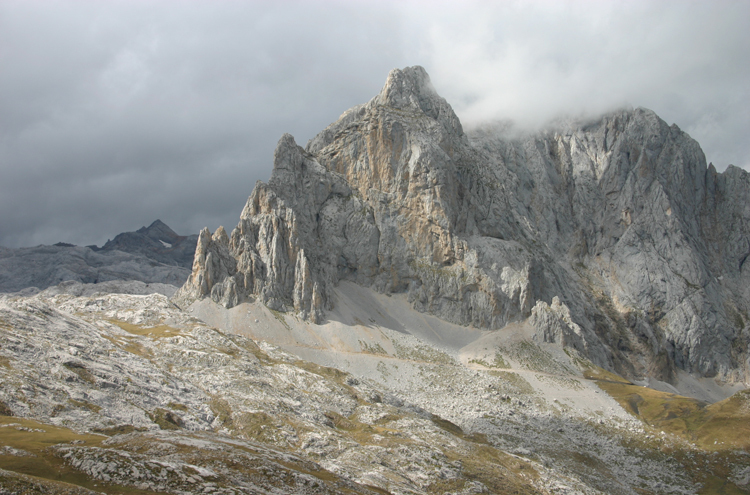 A fantastic variety of scenery, from forests to high summer-grazing land beneath dramatic crags and rocky spires, then tumultuous cracked rock below final high, serrated ridges. 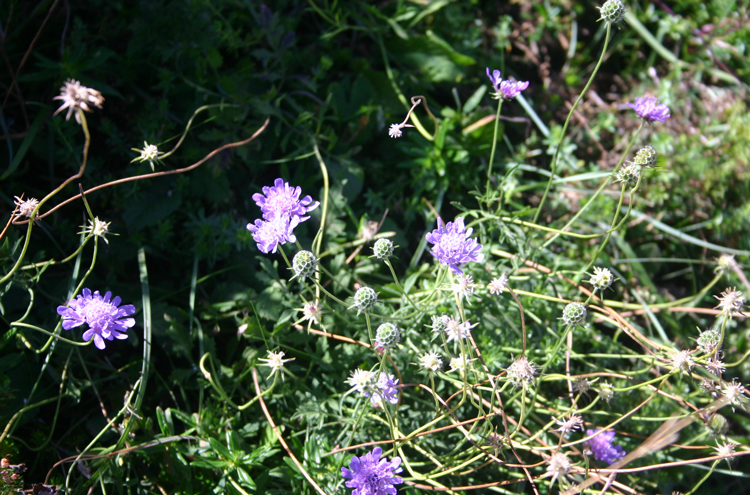 Unrivalled flora and fauna. 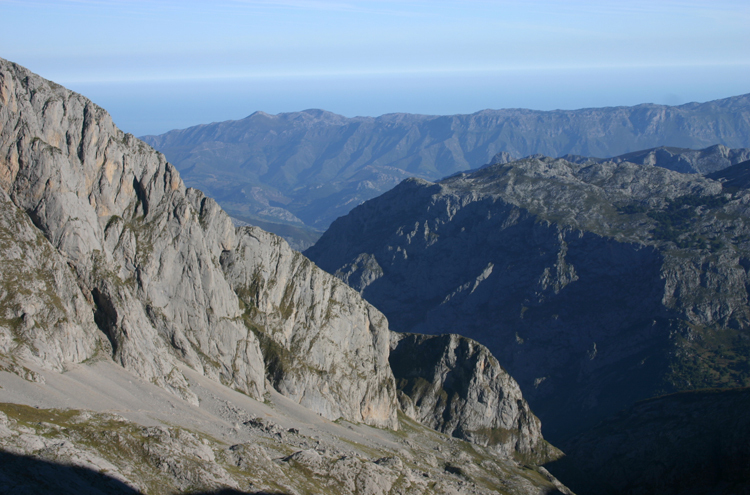 The central massif of the Picos de Europa in northern Spain is generally thought to be its finest, and a southnorth traverse the ultimate walk in the area only bettered by linking it with the Cares Gorge and the Jermoso Traverse to create the perfect circuit. 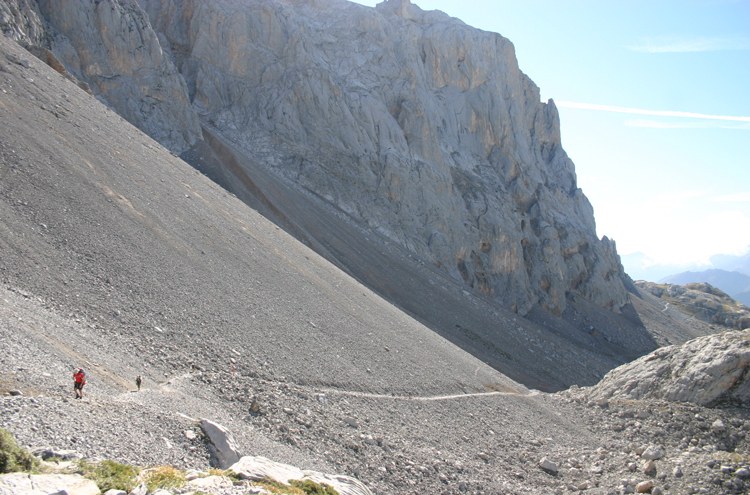 There are various ways to cross the central massif; this version has been refined by climber and adventurer Geraldine Westrupp. 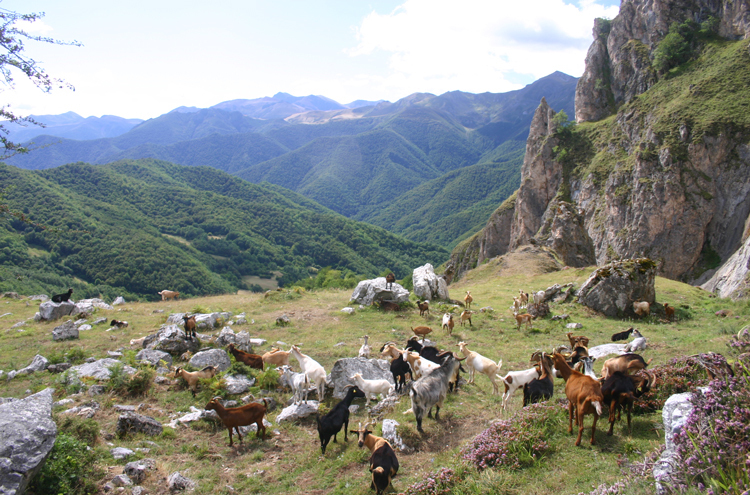 You start in the lovely and unspoilt village of Espiama a few kilometres down the valley from the roadhead and cable car station at Fuente Dé, heading north up a small road, then up steep tracks through delightful mixed forest, catching occasional glimpses of pastures and approaching cliffs and high country. 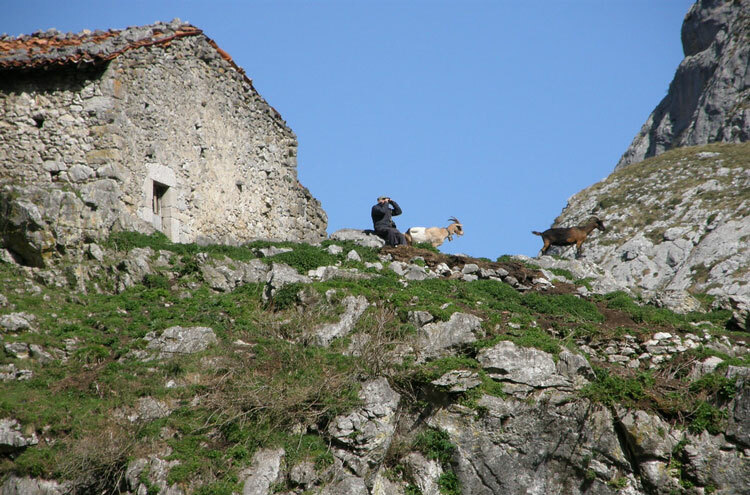 After a couple of hours, you reach the red-tiled summer hamlet of Joyo de Iquedri, nestling in steep meadows below the first of the cliffs. 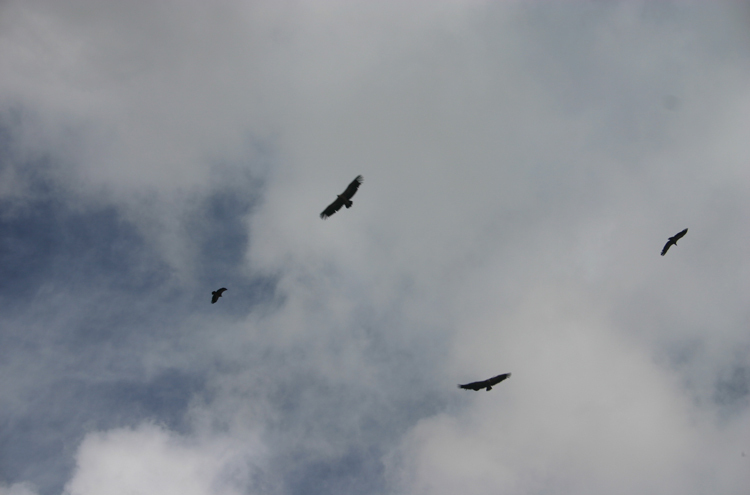 Turning west, you wind up into a glorious high valley between parallel, dramatic cliffs. 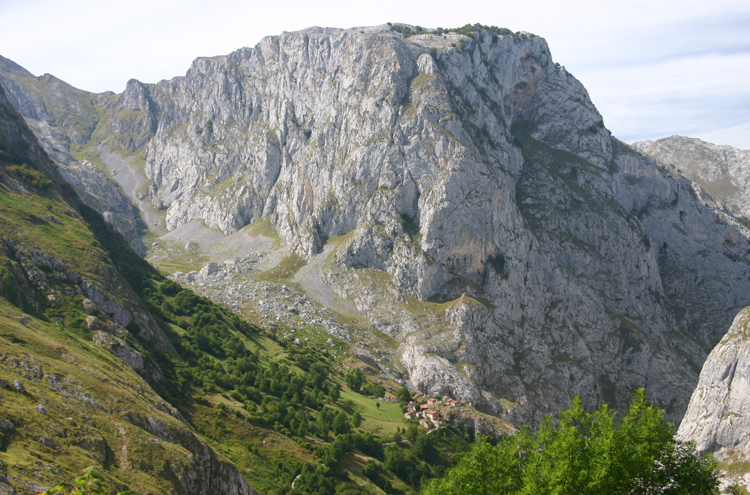 At the crest, the immense bowl of cliffs around Fuenta Dé will induce gasps and giddy exhilaration. 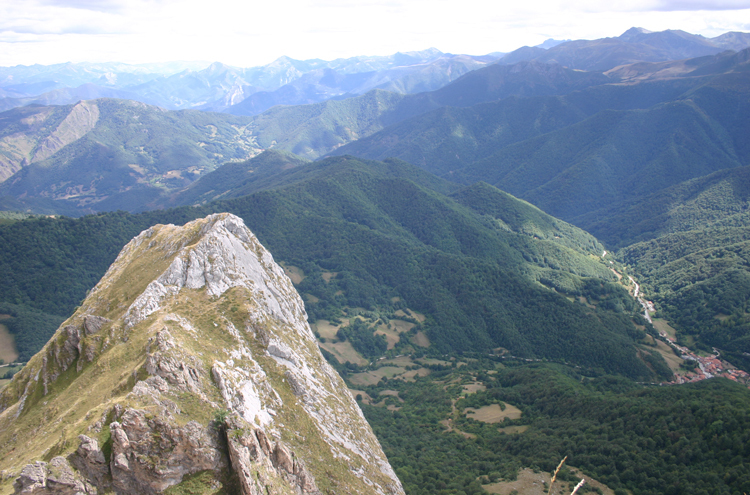 Then we traverse back to Pico del Valdecoro, the first great bastion of the Picos, with tremendous views southward across the lower Cantabrian mountains. 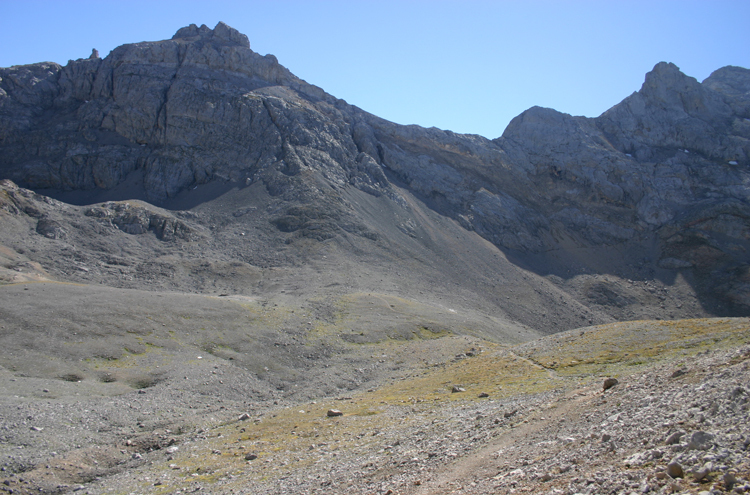 Then back past the col, round the northern cliffs and through a gap into the huge Aliva bowl, an area of cracked limestone and small pasture all surrounded by tremendous cliffs. After an hour or sos walking, reach the Ref. Aliva, more a hotel, really, with plain but comfortable rooms. 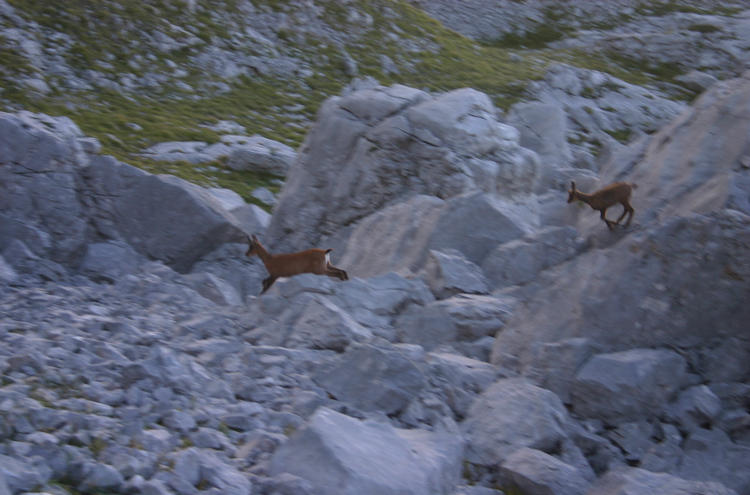 If you are short of time, you could take the cable car from Fuenta Dé, gaining some 750m (but beware queues of up to 2hrs at popular times; come out of high season, or get there early), then either trekking to Ref. 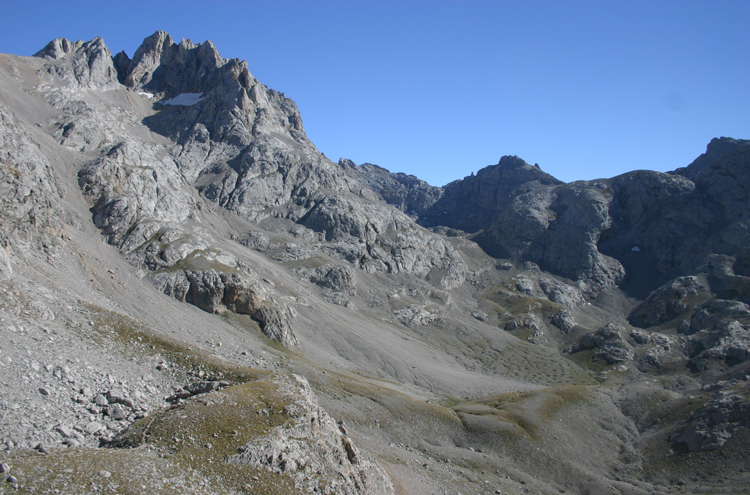 Aliva or, if you want to do the traverse in two rather than three days, joining Day 2 below the Pea Olvidada. This first day can be walked as a one-day circuit. See Aliva Circuit. Day 2 starts with a steady hike up a good track to the col immediately below the Pea Olvidada, passing an old royal hunting lodge. Rounding the corner into the northward gorge heading up toward the heart of the Central Massif, the fireworks really start. 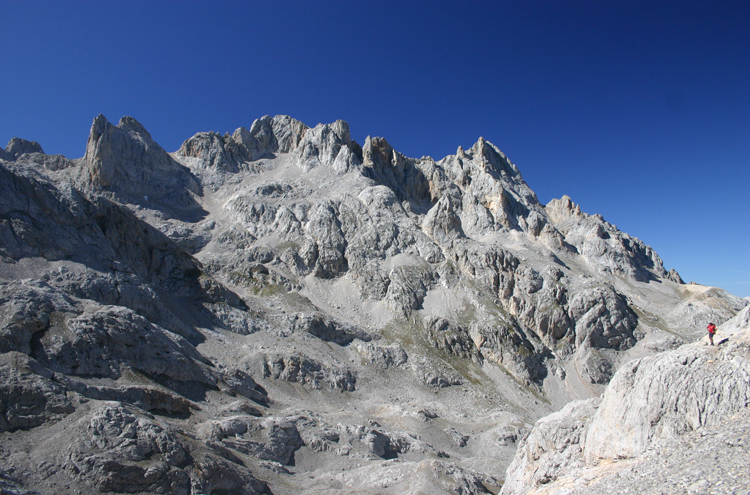 The track is good, leaving freedom to revel in the wonders around you: the enormous cliffs of the Pea Vieja and other peaks of the central ridge, with endless scree-slopes below them, loom immediately over your right. 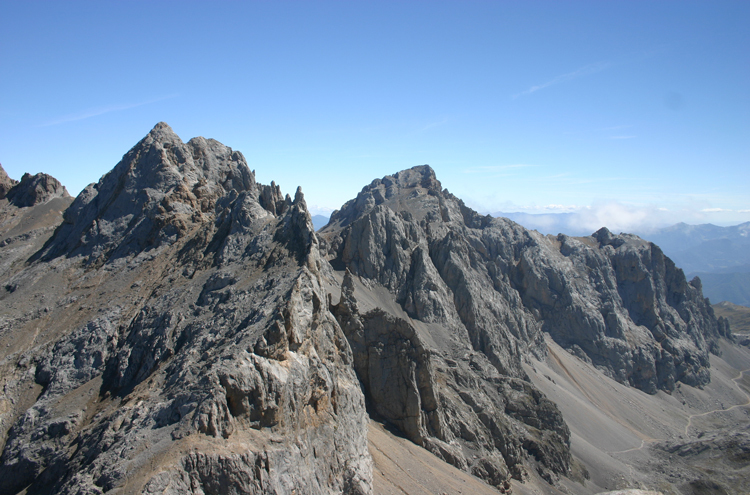 West and south is the smashed devastation of the Hoyo Sin Tierra, a deep limestone sinkhole which is a classic of the area, a great ring of cliffs and spires marking the skyline behind them. 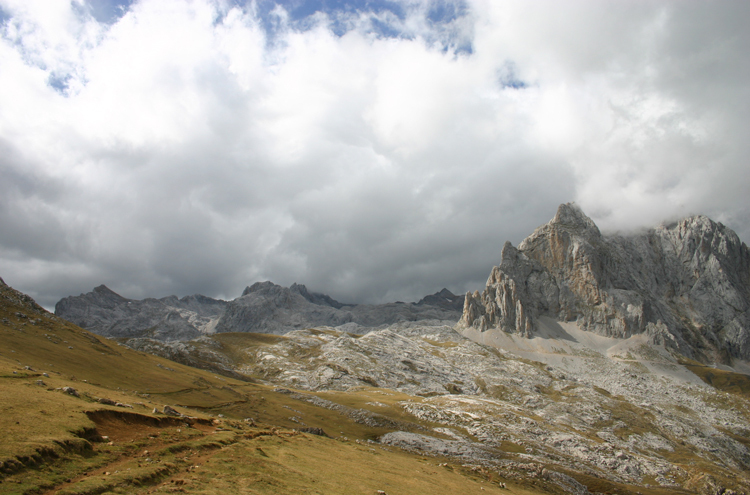 A long, steady climb gets to the Hdos Rojos pass at the very heart of the range. 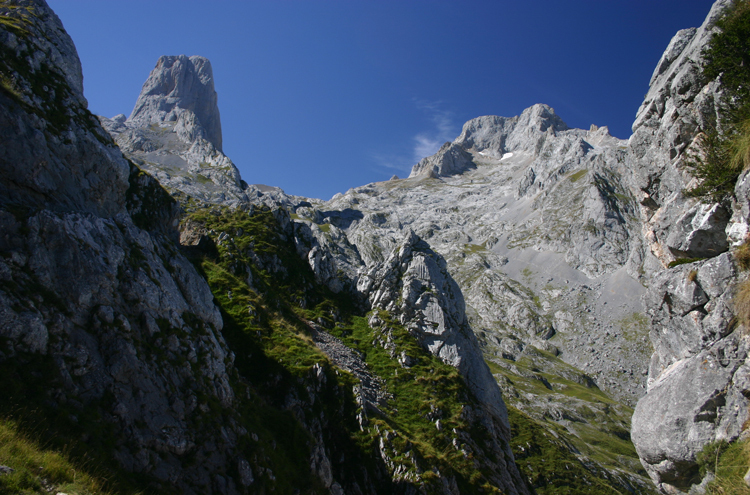 Climb on to the Torre de los Hdos Rojos for lunch. 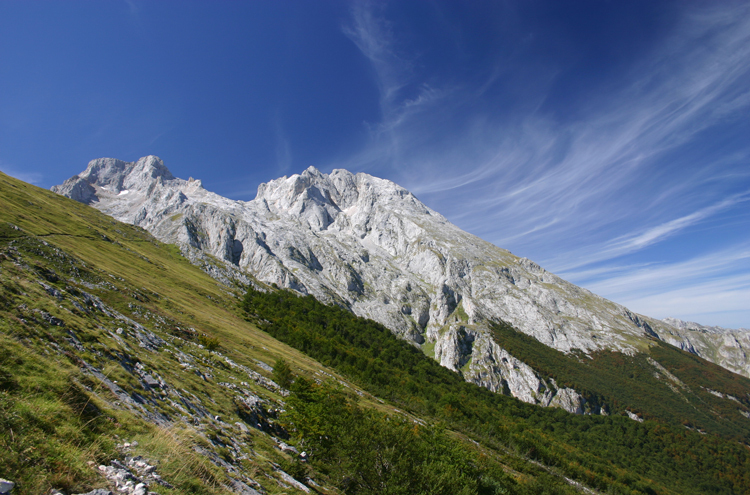 It is hard work, with brief exposure at the very top, but rewards with extravagant views all around: peaks, cliffs and exiguous high meadows basking under a cloudless sky. 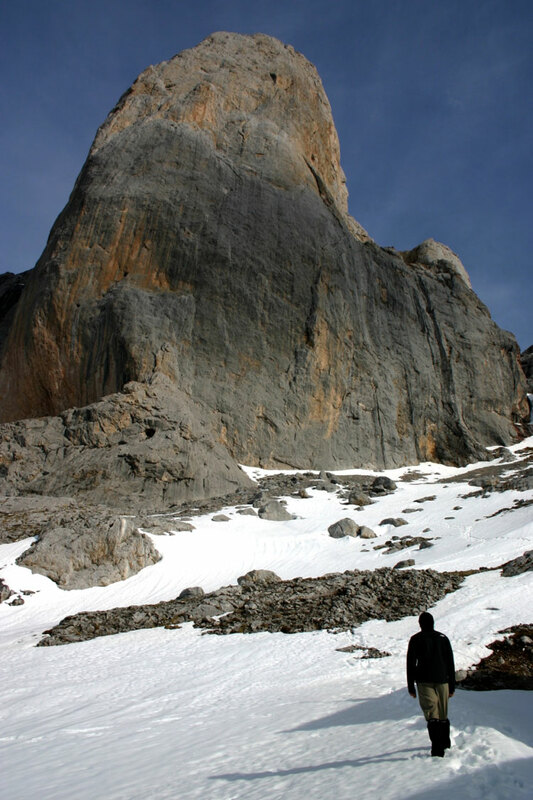 Back at the col, tackle the expeditions heartstopper (for some), a 300m cable-assisted descent of a broken cliff, starting with a traverse, then a descent down a series of steep fissures, then directly down the slightly less precipitous lower slopes. A fall could easily be fatal, but it isnt that dangerous in good weather. Great care would be needed in the wet. 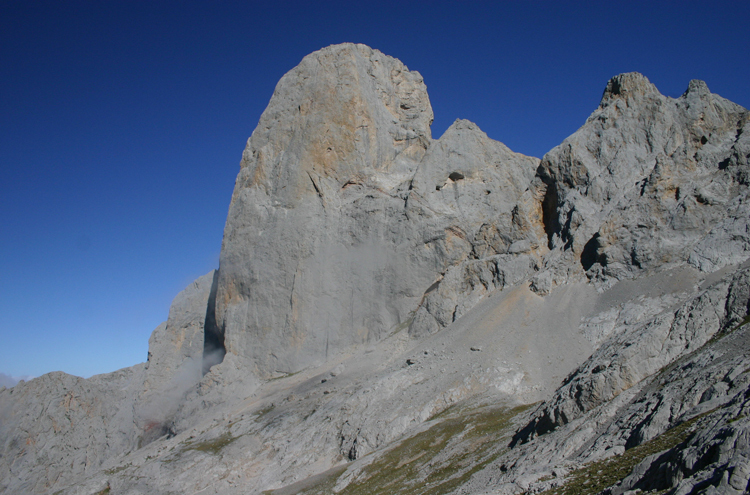 At the base, you skirt another couple of great hous in the long valley bottom, dry at first as all water disappears into those great sieves, heading northward, past that famous tower El Naranjo de Bulnes, and eventually out of the range towards the sea. 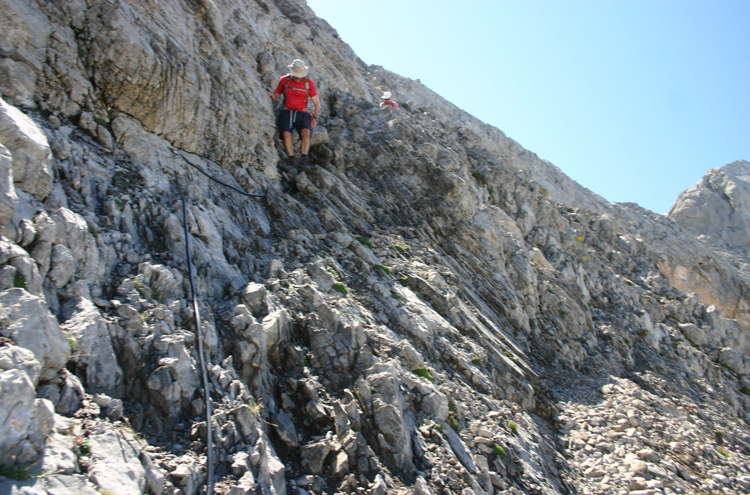 This is fabulous walking, with magnificent cliffs and high, serrated ridges on both sides. 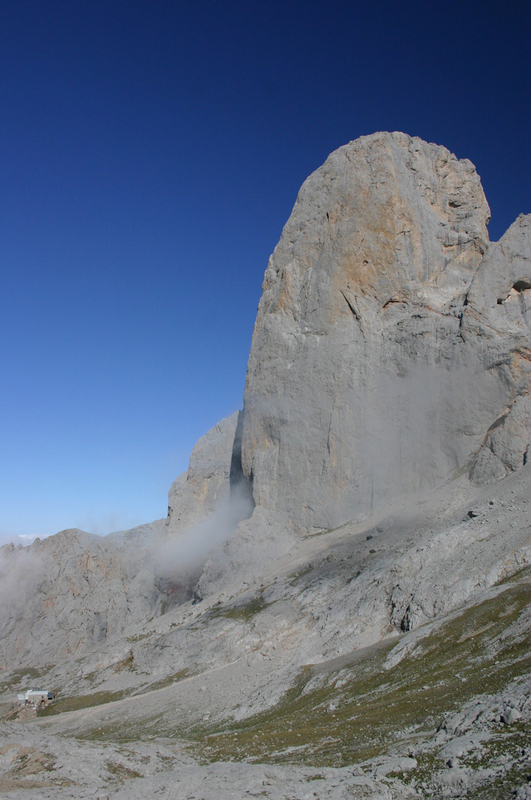 At a final ridgetop, the magnificent, smooth western face of the Naranjo comes into full view, glowing orange in the afternoon sun on a clear day. 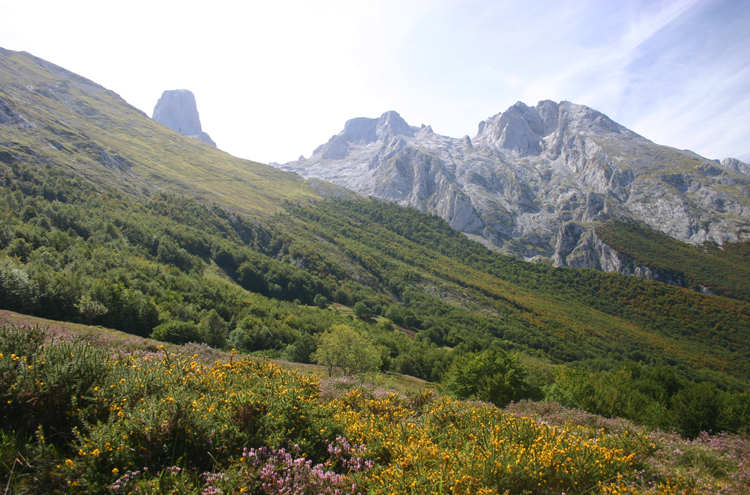 Nestled below it is the Ubeda refuge, in the most spectacular of settings, a (relatively) level patch of meadow on the valley bottom surrounded by spires. Although crammed in upstairs rows of cramped together bunk mattresses the downstairs is gemtlich enough. 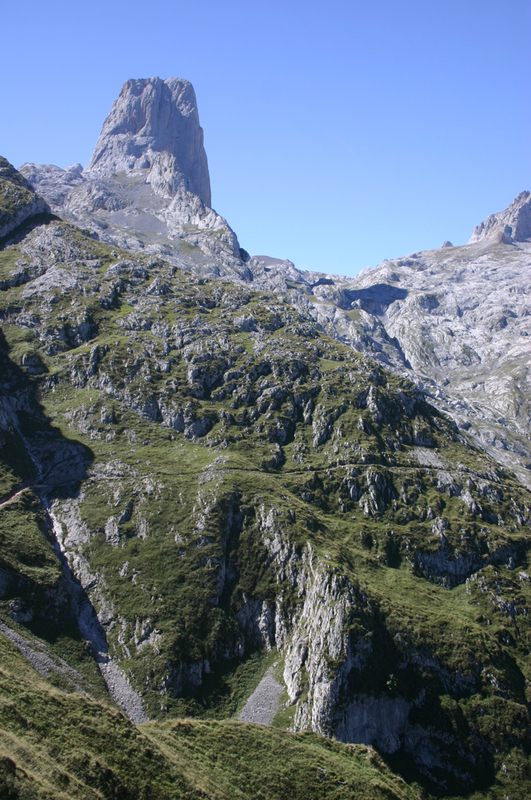 Day 3 starts with a long descent into the gorge below the Naranjo, the path dropping quickly between vast boulders. 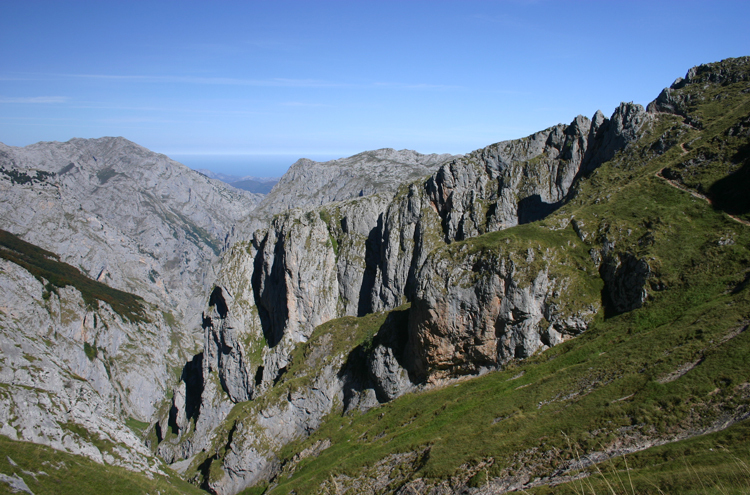 Then traverse the magnificent eastern cliffs of the deepening gorge, with increasingly exciting views back up to the Naranjo standing proud of all around it. 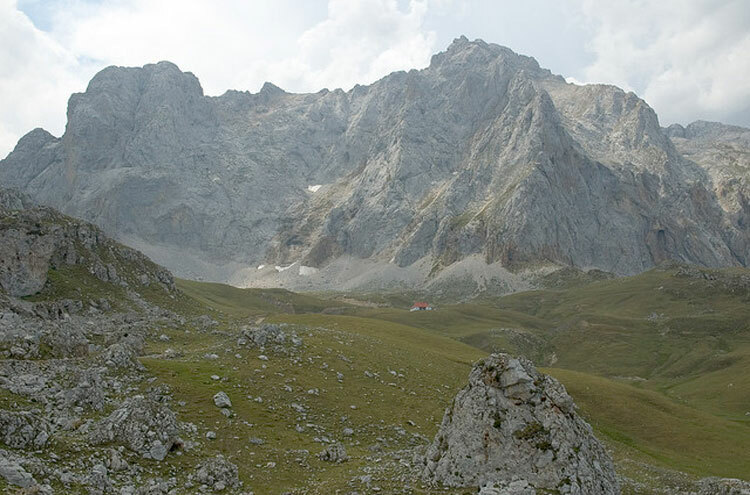 Around a corner from the final viewpoint, you are suddenly in a very different world forest and meadow, with the sound of cow bells jangling up to us and a really delightful steady traverse down to a tiny refuge in a summer hamlet. 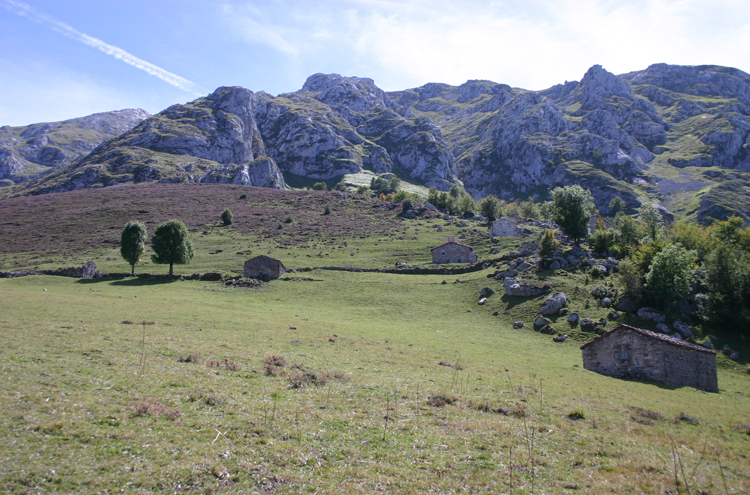 Then descend cropped grassland, through a scattering of summer steadings, then drop into the forest for a while, and a long and tedious descent over old but very uneven cobbles to the delightful Bulnes. 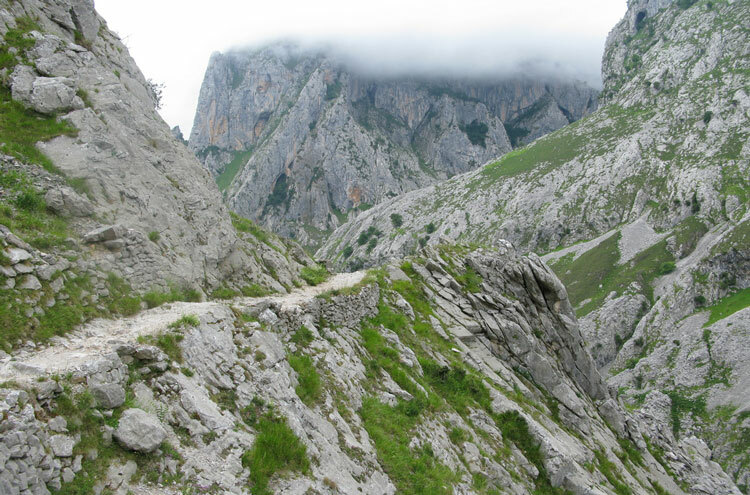 Descending more than 1,300m, you will sorely need a drink before continuing on for another hour and a half through the outstanding Canal del Texu gorge, once again frequently on ancient mule and cattle tracks high in the cliffs. 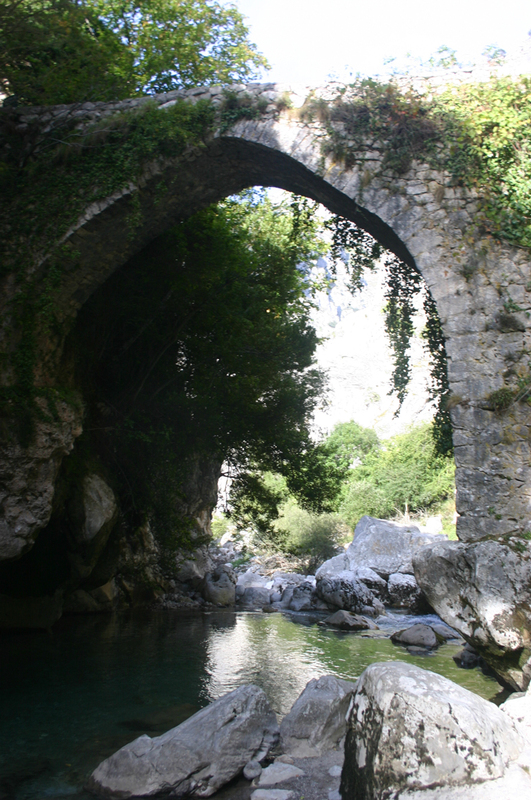 Emerge at the base of the even more extraordinary Cares Gorge, crossing a perfect old Roman bridge spanning the Cares stream. But dont miss a painfully refreshing dip in its mountain waters. Marvellous. 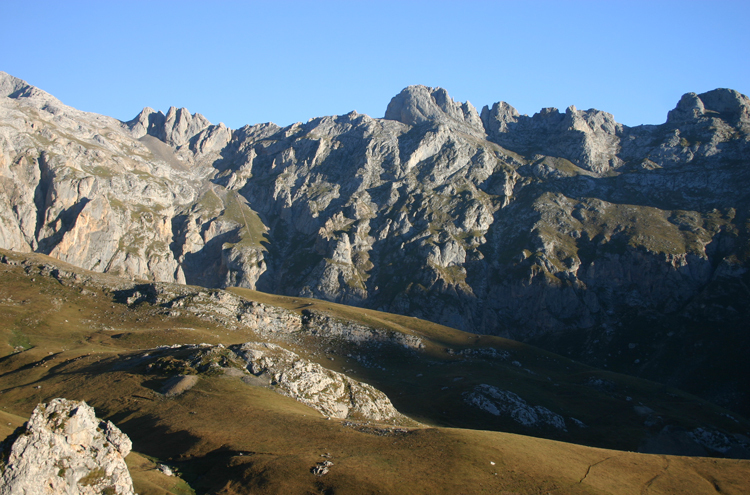 See our Picos de Europa page for general information about the Picos. 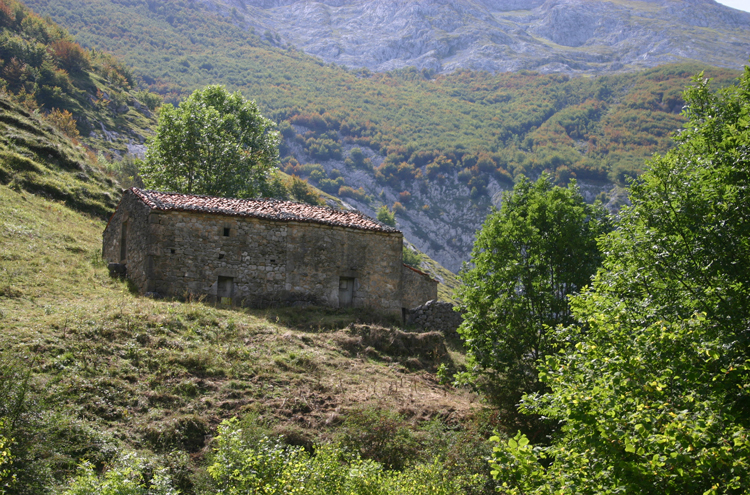 You start in the lovely and unspoilt village of Espiñama a few kilometres down the valley from the roadhead and cable car station at Fuente Dé, heading north up a small road, then up steep tracks through delightful mixed forest, catching occasional glimpses of pastures and approaching cliffs and high country.